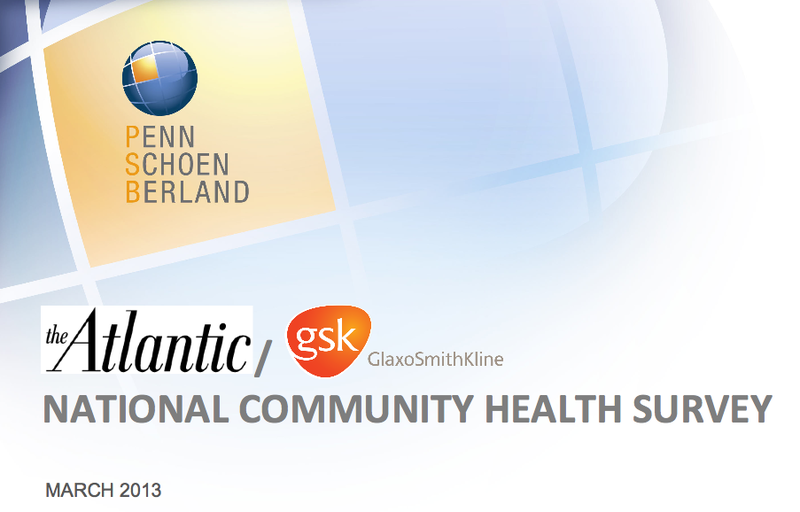 Below is a new infographic from GlaxoSmithKline: A Healthy Community | From a State of Mind to a State of Being. It’s based on a recent National Community Health Survey <http://atlanticlive.theatlantic.com/pr/CommunityHealth/PollResults.pdf> from The Atlantic, in collaboration with GlaxoSmithKline, that found most Americans do not think their communities provide sufficient access to key resources for good health. It outlines the health resources Americans say are most important to support community health and compares their perceived level of access to the resources. The national survey, conducted by Penn, Schoen & Berland from January 12-20, 2013. The survey found there continues to be a rapid evolution in how technology is changing the way people access healthcare. The survey suggests Americans want technology to become a bigger part of the healthcare system with 64 percent using online health resources and 94 percent of those saying the health/medical information they find online is important to their health. And yet only 12 percent of respondents have emailed or sent a text message to a physician regarding a health question. According to the study, the younger population, in general, are far more prone to embrace and utilize health information technology (not surprising); however, this group also tends to place greater emphasis on removing face-to-face interaction with healthcare professionals and self-diagnosing their conditions. More than 1 in 3 young Americans are willing to have primarily online interaction with doctors. Young people (defined as those under age 30), Hispanics and upper-income Americans are most open to communicating with their doctor mainly through text messages or e-mails. Young people and Hispanics are eager to use web applications to help improve their health. 40 percent of Americans who use online resources self diagnose. 32 percent of Americans under 30 who use online health resources act on the information they find without consulting a medical professional. And significant proportions use health websites for purposes that would otherwise require doctors’ visits. How much of this self-diagnosing and non face-to-face communication is the result of increasing costs involved in office visits and fear of costs associated with additional testing if something is discovered in an actual “hands-on” physician’s visit? How many of those under 30 do not have health insurance, or choose not to participate with their employer-sponsored healthcare plan? With the higher income older individuals, online health information could be consumed by this group as an adjunct and not the primary means of obtaining healthcare information. I am in the upper age range and do participate in three different patient portals…my primary care physician…my hospital of choice…and my health insurance company. All run very slowly and do not have the information I can get from my family physician with a personal visit. It would be nice to have one patient portal with all my information, but don’t make we work so hard for it. I am fortunate to be able to afford health insurance as aging poses additional health concerns and issues,and I consume more healthcare resources.